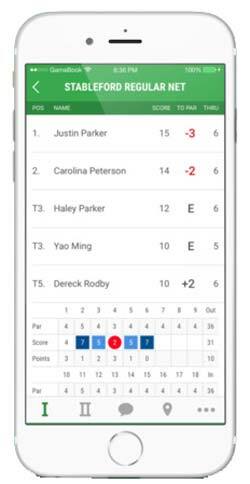 The 3rd generation of Golf GameBook, the industry's most sophisticated digital scorecard and leading live scoring app for golfers, was launched today, expanding the Social Community aspects of the free iPhone app. The new version of Golf GameBook makes it easier for golfers to share their experience with others, before, during and after their rounds. 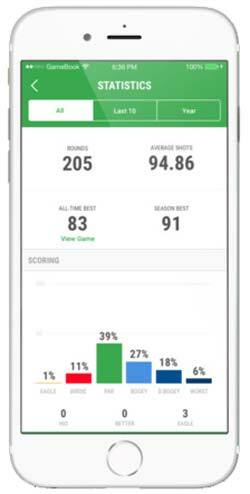 "We believe Golf GameBook will change the way people think of social golf," said Mikko Rantanen, CEO of GameBook, Inc. "Golf is the most social of all sports, but previously the social aspects were limited to your foursome. Golf GameBook expands that social reach." Golf GameBook, available for free on the App Store, offers the most fun, effective and social way to keep score in golf, allowing you to connect with other golfers and share live results, comments, photos, and videos - no matter where you are, on and off the golf course. The easy-to-use digital scorecard has now grown into a fully equipped social media platform for golfers. It's like having a clubhouse in your pocket. "Making golf more fun through new social elements and different game formats as well as fulfilling golfers' dreams has always been - and still is - the core of what we do," said Kalle Väinölä, who co-founded Golf GameBook 10 years ago with Mikko Manerus. "This new version of Golf GameBook is the next logical step in delivering that promise." Golf GameBook was first released in 2010 as one of golf's first proprietary hand-held live scoring devices. 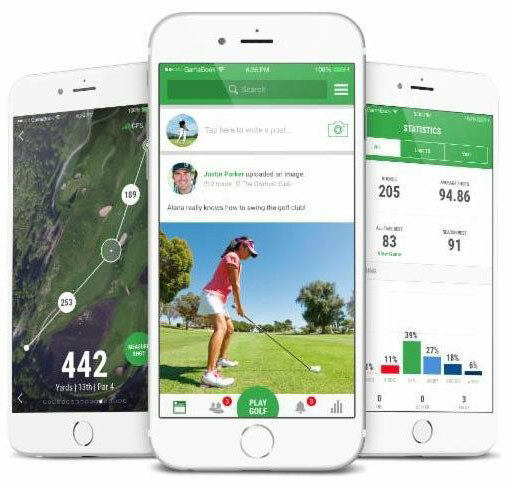 As golf scoring began to enter the digital age, and mobile apps became more prevalent, Golf GameBook evolved into an app as well, integrating GPS and social interaction elements through the years. The brand new version, the 3rd generation Golf GameBook, is the culmination of all the upgrades. PGA Tour player and 2009 Open champion Stewart Cink, a teammate of Rantanen's during his collegiate playing days at Georgia Tech, has been involved in the development and promotion of Golf GameBook since its inception. "While competing on the PGA Tour I have seen a major increase in the social aspects of our sport," said Cink, who has over 1.1 million followers on Twitter himself. "Golfers on and off the course are constantly sharing their experiences through Social Media. I believe Golf GameBook's Social Community platform is the perfect vehicle for golfers worldwide to do just that." Golf GameBook's constantly growing database already covers approximately 95 percent of all the golf courses in the world. The majority of these come with GPS coordinates, which allows you to check the distance, plan your next shot and measure your most impressive drives. Keeping score on Golf GameBook is simple. Golfers enter their gross score on each hole and the app does the rest. It supports 25 different game formats, and provides scoring and live leaderboards for each of the formats being used by the group or tournament. Golfers can make comments throughout the round, elevating "trash talk" to a new level. Even friends who aren't at the course can follow along, sharing their comments as well. Golfers can also post photos and videos throughout the round, so their community of followers can share in the experience. Once your round is over, the information becomes part of your golf history, as it is automatically archived into your Golf GameBook profile. You can also use the statistics and other stored information to improve your game. And now the brand new GameBook feed allows you to share your thoughts, photos and videos as well as links to interesting golf topics to spark conversations. "Studies have shown that the golf industry needs to bring more fun to our sport," said Rantanen. "Otherwise, participation will continue to decline. That is the chief goal of Golf GameBook. We want to enhance the golf experience, not only during the round but long after it is over. That's the main reason our Golf GameBook Social Community continues to grow." For more information, visit www.GolfGameBook.com.